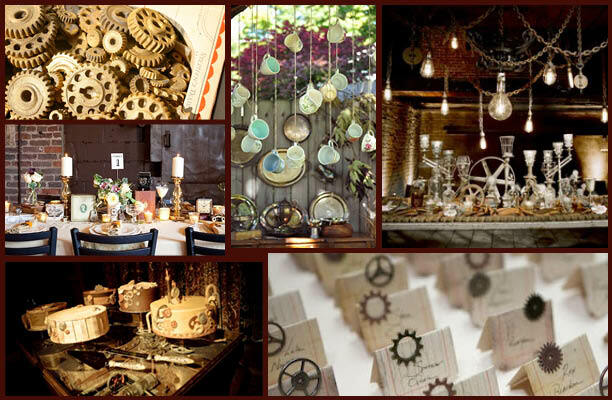 Using edible gears, vintage teacups, and a mix of old and new these party ideas are great examples of how to pull off a steampunk dinner party. 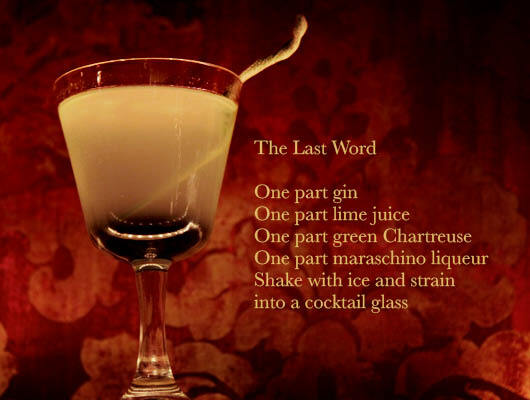 The Last Word is a gin based cocktail. Technically from the prohibition era, it’s old timey flair will make it right at home with a steampunk genre. 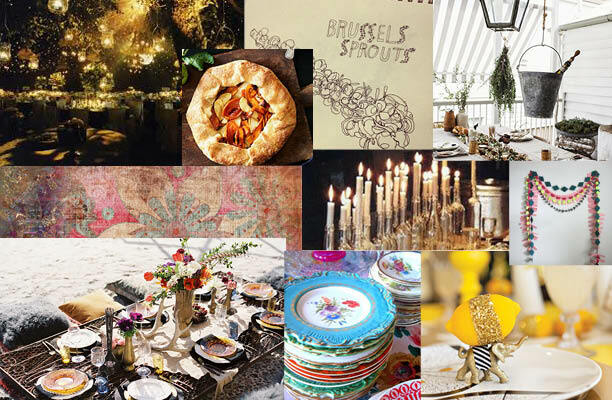 Are you hosting friends for a Thanksgiving dinner party? Impress them with your knowledge of sub-cultures by having a Steampunk themed Thanksgiving. Use of a fantastical “futuristic” victorian era where steam powers all machinery for your inspiration. Rustic, antiqued pieces mixed with modern day elements. Old gears are key in your design (as well as keys). Polished brass, iron, wood, and leather set the mood. You can re-imagine any modern element but with a pseudo-Victorian mechanical “steampunk” style. Mix vintage pieces and patterns to help create a bohemian feel. Repurpose everyday items into serving-ware and decor. Use free form galettes to help keep with the unconventional feel. The term bohemian cast a wide net, and you can use this to your advantage. In your planning and inspiration, think outside the box; hell think outside the circle. What does convention tell us to do? Now go do the opposite! Eat outside; eat on the floor. Use patterns, styles, and sizes that compliment each other rather than match perfectly. Hit up the thrift stores, vintage pieces can be key to creating that perfect bohemian mix. Use lots of flowers, and elements from nature. 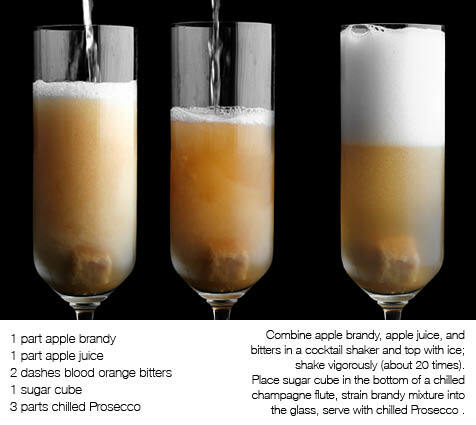 Serve apple cider into any glass available. Garnish with herbs and fruit to provide extra flavor, and atmosphere. Are you looking for a spin on a more traditional idea of Thanksgiving. You don’t have to go wild to make a statement. Minimalism can set you apart from the rest, and create a unique and memorable decor. Use a few pieces, that are simple and beautiful in their own right. The idea is sparsity provides a sophistication and beauty. Clear glass and other solid colors let the lines and art of the pieces speak for themselves. Simple and sparse greenery accents a table without too much fuss. Just think less is more. 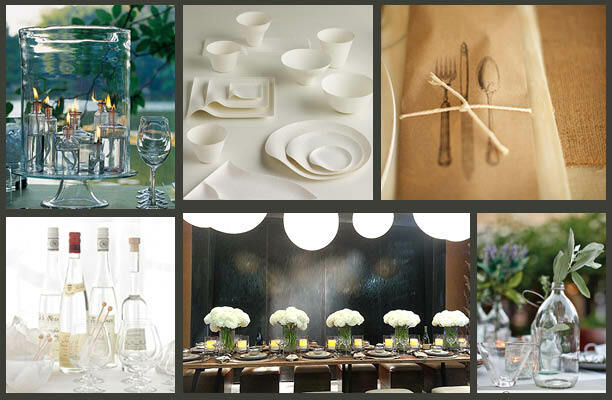 Clean lines, simple color palettes, and less is more provide sophistication for a Thanksgiving gathering. 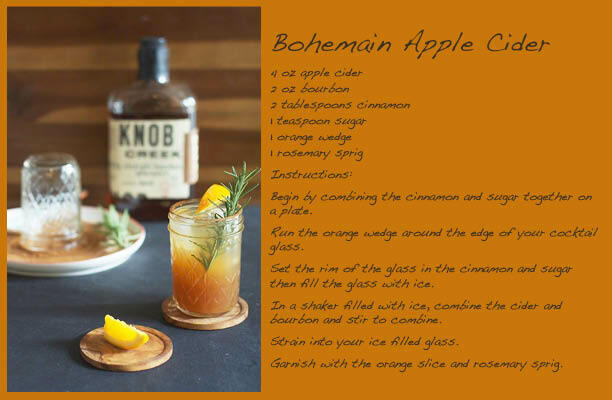 Keep the ingredients simple, and serve in clean lined stemware.